Never imagined that our neighbour’s AA works would give us a horrific nightmare, but it did. We know nothing about our legal rights. We are greatly inconvenienced and like to seek redress as both the contractor and owner were extremely unclean and uncooperative. We consulted lawyer Radika who patiently guide us through the whole legal process and help put things in perspective; always patiently listening to our concern and offering advice on what need to be done . Her manager, Ms Soh, was also very helpful. I was surprised that she even advises us where to seek help should we find the legal process of hiring a lawyer too costly. So many thanks to both Lawyer Radika and Ms Soh! Did a tremendous job for our grant resealing in Singapore. They are professional, responsive and awesome to work with. We are a M&E company which is always ran into legal situtiion with main contractor. We would like to highly recommend Fidelis – Advocates Radika Mariapan and her colleagues Alles Soh and Shanthini Krishnan for any legal issues. As they are extremely knowledgeable, careful and professional in all our dealings. We have many cases which Radika had successfully well done to our satisfactory. Therefore, we are very thankful and would highly recommend her and her organization for any legal matters. I would like to very highly recommend Advocate Radika Mariapan, along with her colleagues Alles Soh and Shanthini Krishnan for any legal issues. I ran into a legal situation which, quite frankly, had me worried. I had never worked with a lawyer before, and was concerned both about the impact should things not work out in my favor, and also legal fees. Radika was extremely knowledgeable and very professional in all of our dealings. Her fees were both transparent and very reasonable. She took the time to explain topics which were new to me to make sure that I understood, and she always worked with my interest in mind. She also took a strong position when needed with the other party we were dealing with, and she came up with innovative ideas to help resolve the situation in a very cost efficient and relatively quick manner. I am thankful that I worked with Radika in this situation, and would highly recommend her and her organization for any legal matters. It was a great experience for our HDB POA processed by Fidelis Law Corporation . Ms. Alles, Ms. Shanthini and Adv. Radhika Mariapan were very professional and flexible in their service rendered. While the fees charged by other firms are higher and the tone of the person speaking over the phone is unwelcoming, I really appreciate their attitude towards service and the competitive fees. I wish Fidelis Law Corporation all the very best and also would not hesitate in recommending them to my friends. Radika and Alles did a great job with our HDB Power of Attorney. They are friendly, responsive and professional, and we are very happy to recommend them! I engaged Fidelis Law Corp to prepare a HDB PoA for my flat. They were very efficient and professional with reasonable fees. Of particular mention is their Litigation Executive, Alles Soh who was helpful and respond very quickly to all my queries. Would not hesitate to recommend their services. I have referred clients to Radika countless times to help in diverse matters and also used her services personally. Radika is always straight forward with what options are available and is very approachable in discussions. She is extremely knowledgeable and adept in various aspects of the law even though her specialty is in the field of construction law. She is extremely professional in all dealings and is very patient in explaining legal jargon’s. She always takes time to really listen and understand the issues one is facing before dispensing her advice accordingly. I would not hesitate to recommend her for any legal help that is needed! Radika helped me out in a case in which my landlady refused to refund my deposit. I would definitely recommend her not just because she won the case but also because of the overall experience. First of all she is very approachable. I contacted her through the website and she went over my case and explained me the options that I could try. Not anything to hide, but I talked to few others lawyers too and but I liked Radika’s approach for the case the best and hence I went with Radika. While she worked with me to help recover my deposit, I was really impressed by her knowledge and the way she approaches the case. At every step, she was preparing for events if the hearing ends up with a negative result for us. I couldn’t have foreseen all the cases myself and would definitely recommend her once again. I engaged Radika Mariapan for her services to resolve a contractual dispute and was truly impressed upon finding out how professional, experienced and committed to my case she was. In addition to being good-natured as well as easy to work with, Ms Mariapan is highly competent in her field, and presented to me a detailed explanation of the case so that I would be able to easily follow the process. It is worth mentioning that during the course of working with me, Ms Mariapan was fighting a case in the Court of Appeal, but yet remained dedicated to assisting me in resolving my issue. I contacted Radika Mariapan at I.R.B Law to handle a debt collection matter with my former Singapore employer. I worked with Radika as well as her colleague Dinesh Shah. I am based in the UK and all correspondence was via email. From my initial contact Radika immediately replied, quickly and fully understanding the matter I wished to resolve. She was extremely professional and all her correspondence, as well as that from Dinesh, was very prompt, detailed, clear and concise. With her prompt and clear action my debt collection matter was quickly resolved. I would have no hesitation in recommending I.R.B. Law LLP and in particular Radika Mariapan to handle any legal issue. Had some tenancy/landlord challenges post the completion of my lease. I spoke to Baiross for advice and found him to be extremely competent and professional. He is warm, friendly and easy to connect with. I have already recommended him since too a number of people who have subsequently thanked me for the connection. I posted a question on family legal matters to a penal and desperately needed advice 2 weeks ago. Mr Baiross replied me within 5min. He whatsapp his replies to my questions and I could feel he is more than just answering them. He actually used words like “be strong”, “I understand” . He wasn’t cold in our interaction as compared to my experience with other attorneys recebtly. I really appreciate him being there that day when I needed to know my legal rights. On this last day of 2018 I wish to leave this honest review on Mr Baiross and wish him a good year ahead. Mr Baiross is like a blessings in disguise. I’ve never thought to engage with a lawyer unless is essential, but when you are torn between decisions, Mr Baiross would reply to every of your questions with efficient and dedicated guidance that will feel enlightened immediately after statements given.Could even find solace within.I couldn’t be more gratitude to Mr Baiross. I engaged Mr Baiross for an uncontested divorce. His service was fast. He was also very clear and honest about my obligations. In particular the advice focused in what pitfalls I could suffer if I proceeded to contest the matter. He did not over lawyer and suggested that I discuss the terms with my spouse where I can and he waited for me patiently to go through the negotiations and subsequently I filed my papers. I have received my divorce orders and I have to say that he became more than a lawyer to me. He guided me as much as a best friend would. Please approach him for anything. Mr Baiross is ethical, professional and very experienced lawyer. I wanted some legal advices and instead of jumping into price tag, he took time to understand the background, evaluate the situation and shared the possible outcomes. This is very helpful in helping us to determine the next course of actions. Felt hopeful because we need more of such professionals in our society. I engaged Mr Baiross for a criminal matter. He guided me correctly and enlightened me on what was the best course of action to take given that I had committed the offence. The response was fast. His associates were capable. In short, I felt protected and valued as a client. Mr Baiross is a dedicated and professional lawyer who upholds his promises and is willing to go the extra mile to help his client to solve their problems primarily. The fees definitely comes secondary, and also the fees he charges is undeniably a lot more reasonable than a lot of other lawyers with no hidden charges involved. Which is different from a lot of lawyers as they do not disclose their full charges for the case they take. So I would say Mr Baiross is very honest in his profession. As I have compared with a lot of law firms/ lawyers on the fees they charge on my case before deciding on going to Mr Baiross. Despite being one of the cheapest fees among the rest, this does not compromise his work he promises to fulfil. I am very impressed by the efficiency and professionalism he has even though he has a busy work schedule. He is also very understanding towards my financial situation I am facing and the kind of legal advices and services I need his help on. This makes the whole legal process a very simple and smooth one. I am really glad and lucky to be able to find Mr Baiross on the net and did not regret engaging his services. I am grateful and thankful for your great and wonderful help in my legal case. I will be most willing to recommend you to any of my friends in need of legal advices or services. Thank you! Dear Mr Baiross, thank you so much for your fast and efficient advise. Very much appreciated. Thanks to IRB law for assisting in my case. It wasn’t an easy process for me but Joanne helped alot and went beyond to give as much advice as possible. She was incredibly patient & easy to work with. Although I didn’t liaise directly with Mr Baiross, i’m sure by working with Joanne, I could tell they are reliable & efficient. Will definitely recommend IRB law to family & friends who have similar cases. Thank you so much for the consultation ! Sincere and speedy replies. Thank you so much! I just watsapp Mr Baiross at 10:50 pm and he actually replied! Which lawyer would be so kind to reply people at night at the expense of his personal time! I was asking about some tenancy agreement terms and he gave the advice freely. A true true gem, I was skeptical reading the comments others posted but indeed it’s true. No doubt, I will be going to him should I need legal advice in future and more than willing to pay him for his services. for all your advise and help for during my case. Once thank you so much. Understand his clients.he is an excellent lawyer who doesn’t do his professional work just for money.i believe he’s a rare breed among Lawyers. He’s not doing it for the money but rather to help the individual overcome his problem. He’s the first lawyer that wants to solve your problem rather than give you the run around and make money from you. His busy schedule,he doesn’t short charge you and make sure you adequately answered and he clarified all your questions before he ends. I am really very appreciative and grateful to Mr Baiross for his invaluable advice and guidance during my difficult period.some one that you can trust and go to in times of need.he still humble,I really respect him for that, and I would strongly recommend him to all my Friend and family who are in need of any legal help. Mr Baiross is very knowledgeable and provided appropriate legal advises. I’m just started engaging him and I felt much more relax now. I am glad that I found Mr Baiross to advise me on my legal issues. He was also very responsive via his WhatsApp when I have certain doubts. He knows his legal stuff well, his explanation made me understood my position clearly & the next action I should take. His experience & confidence really gave me the assurance that I was getting the right legal advice. I sincerely thank him for his help & advise. I’m so glad to have this contact. Mr Baiross didn’t attend to me personally but his team of lawyers were excellent! I called them on tenancy issues. They got a lawyer who is expert in this field to help me almost immediately within the day! Amazing to have such efficient lawyers. Very humble and helpful. I can’t recall the names but there’s 2 lawyers who called me back. My landlord finally agreed to the novation and didn’t use their service at the end but they were impressive! Now I know who to contact for legal engagement! Baiross is very approachable and gives useful advice regarding matters from different angles and goes about the execution efficiently. He is also very reasonable in his fees. Am grateful for his considerate personality and professionalism. This is my first court case but with the help of Mr Baiross, he gave me a very clear picture of whats needed and steps to take to handle it. He takes his time to understand the case thouroughly and provide any help needed. I am very fortunate to have seeked his advice given his busy schedule. Even though i do not have the funds to seek his help for the court case given my situation, he still helps with whatever possible to ensure it goes well. Money is not his first priority, but his clients are. I cant thank him enough and i do hope i can settle my problems with my previous company fast enough so i can seek him as my lawyer and guide me through this case. Mr Baiross is an excellent Lawyer who doesn’t do his professional work just for money. I believe he’s a rare breed among the Lawyers. He’s not doing it for the money but rather to help the individual overcome his problems. He’s the first lawyer that wants to solve your problem rather than give you the run around and make money from you. Personally , I strongly believe that this lawyer has character and values. In my engagement with him, despite his busy schedule , he doesn’t short change you and makes sure you are adequately answered and he has clarified all your questions before he ends. I am really very appreciative and grateful to Mr Baiross for his invaluable advice and guidance during my difficult period. Some one that you can trust and go to in times of need. Given his great professional qualities , he’s still humble and down to earth . I really respect him for that , and I would strongly recommend him to all my friends and family who are in need of any legal help. I have been consulting Mr Baiross on various legal issues over the last year. He is a very hands on lawyer well versed in the ways of the courts and possesses a wealth of practical experience in handling dispute resolution. At all times he and his youthful team are very approachable and sincere in their legal advice. Response times to my queries are near instantaneous on electronic media. His opinions are cut and dry and unambiguous with no pretentions whatsoever. I strongly recommend Mr. Baiross and IRB for legal matters. Charges are always reasonable. Great, responsible lawyer who goes the extra mile for his clients. A great listener and never fails to provide you with realistic solutions relevant to your case. Mr Baiross is a lawyer who sympathises and understand his clients. Fees are not an issue with him. He had relentlessly worked on my case and gave me timely updates. I have personally seen his legal experience and knowledge speak for itself, inside and outside of the court. I will highly recommend him to anyone seeking legal advise. I’m really thankful to Mr Baiross. A fantastic lawyer and friend whom I’ve known of since secondary school days. Baiross provided quick and succint advise on my recent pending legal situation for me to take steps to protect myself ahead of time. As the legal proceedings were discontinued due to some mitigating factors, I did not get to engage him to represent me. Nevertheless, he’s my Number 1 choice to recommend to family and friends and for my personal needs in the coming future! Mr Baiross handled my divorce very well as he understood my goals and accurately advised me on my options to achieve them. Along with his colleague, Ms Syuhada, I felt like I was in good hands and was kept informed on the progress at all times. A lawyer who puts your interests first. Mr.Baiross is exemplary of truthful, straightforward and honest legal work in Singapore. He is firstly a listener, he doesn’t jump the gun to offer you solutions without listening to your situation in its entirety and your intent. Even when I blatantly told him I actually have another lawyer who has already seen my case and offered a solution, he simply offered to give a second opinion with no obligations. And my decision to take him on after meeting him was something I don’t regret to date. I have encountered many incidents where my legal representatives were more interested in chalking up my fees as opposed to my own interests in my case, Mr.Baiross is one such person who has changed my perception in that matter. For him, me and my case came first, fees was secondary to that. But don’t be mistaken, Mr.Baiross is brutally honest, he doesn’t raise false hope, and tells you his legal advice however unpalatable, in the clearest possible way. And his extensive experience simply speaks for itself the way he foresees the opposing party reacting, the legal action they would take. And his responsiveness (i.e. to my queries, sending legal documentation on my behalf ) was one of the fastest I have encountered in the legal landscape in Singapore. What started out as a legal ordeal for me, became a breeze thanks to him. And till date, I have recommended all my acquaintances who have needed legal help or just some legal advice to him. Every single one of them has returned with nothing but praise for him. At first when i first met him , he looked really strict & hard to talk to. But after talking to him , i felt confident that i can depend on him to deal my case. He was so understanding & patient. He took the effort to come down and meet me directly and liaise with me on my case details. Very efficient & as he promised he closed the case in 2 months time. This wouldn’t have been possible without a good lawyer. I will forever be thankful to Mr Baiross. The best law firm that i ever found. Mr. Bairos provide excellent consultation services and understand the client’s problem well. His continuous communication with client is highly appreciated. Thank for google which enable me to locate this law firm. I have settled peaceful and those credits definitely goes to Mr. Baiross and the team for the great effort in solving the issue. Thank you once again. I would recommend anyone who has legal issue to consult this excellent law first . My friend’s unfortunate altercation with the law was handled by Mr. Baiross with great consideration. He was the only lawyer (from the several that we contacted) who manage to understand the situation first before discussing any handling fees. We are extremely greatful for his help. I was very fortunate to have Mr Baiross and Mr Devaraj handling my case. Baiross was the first lawyer (out of several firms I contacted) to respond to me after I submitted my query regarding a bankruptcy application taken out against me. He listened to my situation, and explained to me how he planned to help me achieve my goal in a frank and realistic manner, though of course with the clear insight of someone with many years of experience in this field. Devaraj handled my hearing. He managed to convince my creditors to give me a grace period in lieu of my immediate financial difficulties, and he did so by explaining how this grace period would be mutually beneficial. Within this grace period, I managed to come to a satisfactory agreement with my creditors. During the entire process, Mr Devaraj and Mr Baiross would attend to me and ensure that I was kept up to date on this matter which had placed a toll on me and my family emotionally. I am very thankful that through the help of Baiross and Devaraj we were able to settle the matter quickly. I would like to commend Ms Joanne Giam for exemplary service rendered to me when I sought deed poll services at your firm. She explained the rules surrounding the changing of my legal name and its impact very well. I was also impressed her efficiency and ability to communicate with me effectively the progress of my case. As a member of public who does not have specialist knowledge in legal matters such as these, I was more than impressed with the professionalism displayed by your firm. Your competitive pricing is definitely a sweetener. I would not hesitate to recommend your firm and your team to anyone I know in need of legal help. We are very thankful and impressed with the legal advice, expertise and responsiveness Mr Baiross and his team of lawyers attended to our case – a dispute in a private property sale. Mr Baiross and his team of lawyers (Ms Rebecca Chia and Ms Roy’yani ) have done an excellent job in bringing the disputed claim to an amicable settlement in a most cost effective manner. Good lawyers, great service, very reasonable and affordable fee. Highly recommended. I am extremely impressed with the level of service, professionalism and quick response time they attended to my issues. i searched the website and based on the reviews given, I decided to contact Mr Baiross for help in the late night. Wow..His assistant Ross was so helpful and prompt in her response and took great care of my concerns even though it was so late in the evening. i felt so thankful and grateful to Ross when Ross responded immediately to my messages and she helps me to get in contact with her boss and his associate Rizuan right away!..when Mr Baiross couldnt meet me due to his tight schedule. I met Rizuan the following day..and he too impresssed me. He had gone through my issues the night before and immediately able to advice me what i should do. i am very thankful to Rizuan for his patience and also listened to my problems attentively. He knew exactly what to do and advised me accordingly. Most of all he didnt charge me after provided me all his kind advice!! He was very kind to follow-up with me after and informed me that if i need any help i can always go back to him. Thank you very much Ross and Rizuan. Mr Baiross..i will definitely recommend your team to my friends who are in need of help. Thank you once again. Mr Mohamed Baiross and his team is not only highly efficient but also effective. Legal advice sought from him is personalised and with great depth of knowledge. Responses are also quick as he met up with me within few hours notice despite his schedule and it is with great honour that I chanced upon such a great man on this website. He is proactive in assisting clients to the best of his abilities above and beyond his call of duty. Truly blessed. From my first visit for consultation, Ms. Baiross was so sincere and very understanding of my situation. He was outstanding in explaining things to me and I left feeling very relieved. During the legal proceedings, Mr. Baiross listened and absorbed details of my case and my opinion and then made convincing recommendations and decisions. I am pleased with I.R.B. Law LLP’s service and everything has been answered in a timely manner. I had exhausted all my resources, lost my money and had no where else to turn until I got a hold of I.R.B. Law LLP through my relative Mr Raja who is also with I.R.B. Law LLP as Client Manager. I may not be the “most profitable client” of yours due to my financial situation but I can confidently tell you this.. I am your “most grateful client” and that comes from my heart. I would absolutely recommend I.R.B. Law LLP to family and friends. I would not hesitate to recommend Mr Baiross and his I.R.B. Law LLP to anyone in need of their legal process. I am very pleased with the quality, responsiveness and extensive legal expertise of Mr Baiross. At last, words cannot describe how grateful I am to you and I.R.B. Law LLP for taking my case. Here’s best wishes that your profession brings satisfaction, and pride to you always. Good luck.. Hope everything turns out to be simply great for you! Thank you Mr Baiross! Really appreciate your help during that hectic weekend. Mr Baiross is truly a professional and helpful lawyer, like what you can see from all his reviews. I received a letter from a lawyer during a holiday eve, and a really tight timeframe was given to me in responding back to them with the letters. Because this was the first time I have ever encounter this matter, after receiving the letters I panicked and of course worried about it. I went on google to search for clues and here I chance upon Mr Baiross’s name with 50 over good reviews. So I tried my luck in texting him during the weekend, as that is all the time I have left for consultation or help. And Mr Baiross did reply to me the next day even though it was a weekend, with the assurance of help. His quotation was reasonable as I told him I am a freelance that has financial difficulties. His help and assurance did ease my worries and he will definitely be the first person I will introduce to if anyone has any lawsuit case. Awesome Lawyer.Patient and do work with due diligence. Efficient and meticulous.Proffesional and understand clients requirements.Higly recommend. When I received a court summon from a government agency, I was very worried and extremely concern. Moreover, due to financial stress, I know that I will not be able to engage a good lawyer to represent my case. Throughout the whole duration of the case, he closely monitors my case and advises his lawyer on the essential. My case was subsequently settled with the assistance from one of Mr Baiross’s lawyer Mr Ashwin. It was definitely a pleasure to work with Mr Baiross and his firm. I would strongly recommend him & his firm to anyone with no doubts. Hereby, I sincerely would like to recommend Mr. Mohamed Baiross, lawyer at I.R.B. LAW LLP. A Singaporean restaurant clearly overcharged me during a business visit in the spring of 2016. Despite of multiple attempts to find an acceptable solution for this case, the restaurant simply persisted in not responding to me at all. Then, I was advised to request the Singaporean Small Claims Tribunal (SCT) for a review. The SCT treated the case seriously and offered me all the help I needed with filling in the legal documents required for the procedure. The SCT awarded my claim in an official verdict in January 2017: the restaurant was ordered to fairly compensate me. However, the restaurant still failed to respond by any means, ignoring the SCT verdict they received. Then, in April 2017, I approached Mr. Mohamed Baiross for assistance in this debt recovery case. He offered me a more than reasonable deal for his necessary legal assistance. Mr. Baiross studied the documents, immediately took action and successfully contacted the management of the restaurant. But despite of their promise to pay the compensation ordered in the verdict, they failed to keep their promise. Again, Mr. Baiross quickly took action. He expressed his determination in this case (‘We are very disappointed’) and put the necessary legal pressure on the restaurant. With success. The restaurant realized they couldn’t ignore the legal SCT verdict and finally decided to pay the ordered compensation. This was my first experience with a Singaporean lawyer and Singaporean law. And without any doubt, the Singaporean objective to remain a Nation of Trust simply works. Based on the clear SCT procedure, Mr. Baiross managed to execute the SCT verdict in a comprehensive, fast and effective way. He proves that in this civilian lawsuit, the violator does not get away with it. This mentality should be an example for other countries, including the Netherlands! I first got in contact with Mr Baiross in February this year with regards to a debt recovery matter concerning my vendor who had grossly overcharged me. Though the initial amount of my debt recovery was small, this matter was settled within 3 months with a much larger sum recovered from my vendor with the help of Mr Baiross and his assistant Ms Roy’yani. Unlike other lawyers whom I had approached with regards to my debt recovery matter, they told me it was not justifiable to proceed with the case as the sum was too small to recover. However, Mr Baiross had viewed it differently knowing that I have a good case to fight. Moreover, Mr Baiross was more than willing to charge me a minimum fees to handle this case to make it affordable to me. I want to extend my sincere gratitude to Mr Baiross and Ms Roy’yani for their valuable guidance and advice imparted to me in handling my case and also the endless time and effort put in to ensure that justice was brought to my vendor. Well done Mr Baiross and Ms Roay’yani and many thanks again for handling my case. I am from other country, married in Singapore and our marriage did not worked out, I was going through a lot of pain due to my divorce, I was hesitant at first and didn’t want to fight on my divorce especially that I am not in Singapore. I prayed whole heartedly to God to help me on what should I do on my case, as I also wanted to voice out what I have been through with my past, even if I am not in Singapore. I tried to look for a lawyer online and emailed Mr. Baiross, he was very attentive to reply on my queries and very professional, he never failed to answer back my queries for free. I also got a very good rate from I.R.B. despite the long period of my case. I many times doubted myself if I have the courage to go through it again and re-live the abuse and humiliation. However, Mr. Baiross and his team are very supportive and listened carefully on my version, It then made me realize that this is one of the best thing that could happen to me because this people ( Mr. Baiross and his Team ) made me realize that if I tell my story then I am free. I had been able to fight it out, even if I am not around. I lost my self for many years, Mr. Baiross and his team helped me find myself through helping me fight my rights. I can’t thank everyone enough for helping me get through this. Once again thank you Sir Baiross and everyone behind. I wish all of you more success. God bless every one of us and our loved ones. It is a pleasure to write a review for Mr Baiross. Our first contact was convieniently via WhatsApp. I was able to explain briefly about my parents’ issue. A meeting was quickly set up for Mr Baiross to meet my parents. He seemed to genuinely care about our issue and when we all met up Mr Baiross, he instantly put us all at ease. He listened to our matter intently and gave us advice regarding the legal implications of the steps we were about to take. He was very sincere in rendering his services. We found Mr Baiross to be polite and professional at all times and would not hesitate to recommend his services. In fact, our cab driver overheard my parents and I discussing about the meeting and we immediately recommended Mr Baiross. Today’s meeting turned out to be a free consultation. Nevertheless, I assured Mr Baiross we would be in touch very soon. Got a text message in less than 5 minutes after submission of request. Service was good. Instructions were clear and procedure was prim and proper. Yes I will definitely recommend him to others. I first contacted Mr Mohamed Baiross of I.R.B. Law LLP to seek his legal advice regarding an issue concerning my vendor who was reluctant to credit me back some money which he had promised to for overcharging me for some purchases made to his company. Initially, Mr Baiross had provided consultation to me on several occasions on how to handle my case without charging me at all. Although the recovery sum from my vendor was not huge, Mr Baiross was more than willing to help me fight my case and only charged me a very small fees. Together with his colleague Mr Royyani, they wasted no time to issue a Letter of Demand to my vendor to recover the money. I was very impressed with the professional service rendered to me by Mr Baiross and Mr Royyani in handling my case. Around the same period, my sister was seeking a lawyer for an application of Grand of Probate. Without any hesitation, I recommended I.R.B. Law LLP to my sister. Mr Baiross’s probate team Mr Sam Foo was assigned to handle my sister’s case. Together with my sister, we met Mr Sam Foo at his office and he patiently ran through the procedure and explained clearly to us the process of application for Grand of Probate. The fees imposed by I.R.B Law LLP for this Grand of Probate application was also very reasonable and much lower than what other legal firms had quoted to my sister. Both my sister and I are extremely satisfied and felt grateful for the legal sevices rendered to us by Mr Baiross and his team. We would like to extend our sincere gratitude to Mr Baiross, Mr Royyani and Mr Sam Foo for their dedication and professionalism in handling our cases. If anyone is seeking for a lawyer, I would strongly recommend I.R.B. Law LLP as they have a track record of providing good services with reasonable cost to their clients as evidence from the numerous online reviews provided by their clienteles. I contacted Mr Baiross to get some early advice about an upcoming divorce, he was very responsive and gave the distinct impression that he cared. I went to see him and he gave me some great legal advice. Once my proceedings go further I would be very happy to have Mr Baiross supporting me. Mr Baiross is an approachable and professional lawyer. Despite his busy schedule, he made a real effort to listen to my legal matter and was able to provide good advice within a short time span. I’m really grateful to him for kindness to provide free legal advice for a complete stranger whom contacted him after reading his excellent online reviews. I would not hesitate to engage his services and would highly recommend him any time. If anyone is looking for a lawyer, I strongly recommend Mr. Baiross from I.R.B Law LLP. Mr. Baiross is a very understanding, patient, trustworthy, reliable lawyer. Unlike other lawyers, he will work out reasonable, flexible and affordable charges with you. I was introduced to Mr. Baiross to advise me on a company matter and my dispute with the other shareholders. After understanding my case he recommended some solutions and options for me to consider which I chose the option to wind up the company and with his legal expertise and his team efforts I successfully wind up the Company. We agreed on the fees which I find I am comfortable with and most importantly Mr. Baiross will not refused to proceed with the case when I was late in paying him as the case proceed. Mr. Baiross assembled his team comprising of his partner, Mr. Amirul Hairi Bin Mohamed RawiI and their associate Ms Darshini Yoganathan to assist me. Like Mr. Baiross, Mr Amirul is just as patient and understanding. Mr. Amirul very patiently update me as the case proceed and was able to give me timely legal advices and opinions which help me to understand what is my position at each stage of the case. 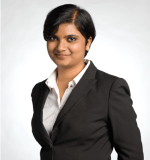 Ms Darshini assisted in helping me understands with the court process and the requirements. At certain stage, Mr. Baiross, Mr. Amirul and Ms Darshini will meet me to brainstorm and formulate strategies on how to proceed, which they eventually achieved my objective to wind up the Company. Mr. Baiross and Mr. Amirul will make every effort to update me via WhatsApp and also arrange to meet me personally after office hours to update me if they find it necessary which most lawyers only meet their clients during office operating hours. Mostly importantly I am impressed that even during their annual reservist and in-camp, they make arrangement to meet me after their official reservist hours. In comparison to other lawyers, they are truly responsible lawyer to their clients. Unlike many lawyers I can across, Mr. Baiross and Mr. Amirul do not measure their clients whether they are rich; not so well to do or have financial problem, they will make every efforts to assist their clients in whichever way possible. Lastly, I like to express my heartfelt thanks to Mr Baiross and his team, Mr. Amirul Hairi Bin Mohamed RawiI and their associate Ms Darshini Yoganathan, who have gone to a great extent to provide assistance and help me achieved my objective. If anyone has need of legal help, I strongly recommend Mr Baiross, Mr. Amirul and Ms Darshini and his team from I.R.B Law LLP. I have engaged Mr Baiross for a civil issue. It is regarding an issue about someone who did not want to return me back my money. Although it is a small sum, but Mr Baiross and Mr Russell forked out 101% effort into my case. Mr Baiross and Mr Russell handled my case very well. They were professional and let me know the possible outcomes on each situation. Mr Russell was quick in his replies and has a willing heart. Thumbs up to both Mr Baiross and Mr Russell, without them I would not have been able to get back my money. I met up with Mr Baiross and Mr Sam at their Office on 8th Dec 2016 for application of Grant of Probate. Mr Baiross and Mr Sam were very professional in handling the application. Both sat with me and run through the procedure and explained to me clearly the steps of the application and the charges, which I believe is the best among the few law firms I enquired about. There were no hidden charges at all and their service was prompt. Within a day, after I sent out the email query, Mr Baiross contacted me and made an appointment with me. I was comfortable with telling them the issues and they assured me they could get the Probate done within months. In fact, I was surprised when I got a call from the law firm on 5th Jan 2017, telling me to come down to collect the docs. Mr Baiross and Mr Sam did the application within less then a month. Their services were prompt and they are very helpful in extending assistance to their clients. I was happy and satisfied when I left their office as I found a good Law firm to assist me. I will recommend Mr Baiross’ law firm to my friends if they need a good and reliable lawyer. Keep up the good work Mr Baiross and Mr Sam. Mr. Baiross and his client manager – Mr. Rajashekar J – reached out to me immediately when I sent their firm an email inquiry. They provided me with good, sound advice and always conducted themselves in a highly professional manner. I would definitely contact them again in future should I require any legal services in Singapore. Once again, thank you very much for your support. Mr Mohamed Baiross reached out to me and we had a good meeting going through my case. He gave very good advise on how to approach my issue with my company and it has just been sorted today in fact. He gave me the tools for me to negotiate in a manner to keep both parties satisified and managed to get some of my points through. I would definitely recommend this service as it is good to reflect with a third party person and get some legal advise instead of entering into a dead-end discussion with the counter part. I would like to express my heartfelt thanks to Mr Baiross and his team, especially to Mr Anandakrishnan Retnam, who have gone to a great extent to provide assistance. Mr Baiross had a great deal of expertise in dealing and providing assistance on a case of breach of contract. He always remained contactable and gave advise promptly which is extremely helpful when we are undergoing stress. He was very fair and reasonable in his charges and spoke very truthfully. He gave advise in a way such that it helps to save costs and also cautioned us if we took any steps that may potentially incur losses. 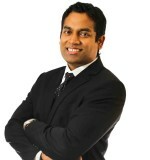 His team: Mr Anandakrishnan was extremely helpful and patient when dealing the case. He was always very polite and remained very accessible. Both their assistance proved to be of a great value for me as it really helped to alleviate my stress. For a 1st timer who is totally ignorant of how to deal things legally, Mr Baiross and Mr Anandakrishnan proved to be very reliable and trustworthy. If anyone has a phobia of lawyers and yet need legal help, Mr Baiross and his team from I.R.B Law LLP is definitely a recommended group to seek assistance from. Even if you are a 1st timer, you do not have to fear!! Thank you Mr Baiross and Mr Anandakrishnan for providing the right assistance at the right time which indeed was a great relief in the distress that we were in. Mr Mohamed Baiross and his team, Mr Kannan Nadarajan and Ms Darshini Yoganathan, has helped my family in our times of need facing legal matters against two banks. During this period, my family suffered a lot of pain and stress. Their confidence and quality of work has motivated us to fight harder for our rights. They even worked over the weekend to discuss the fact and matters and did not want to charge me extra fees they had spent. From the bottom of our hearts, we are grateful for their understanding. My family and I are very appreciative for their kind assistance and compassion throughout the entire legal process. We strongly highly recommend anyone that is facing legal issues to engage their services. 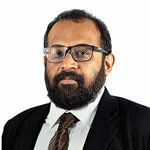 Once again, a huge thank you to Mr Baiross, Mr Kannan Nadarajan and Ms Darshini Yoganathan for all your faith, knowledge and determination to conclude my cases. Mr. Baiross and his team provided me with excellent service in settling a commission claim against my ex-employer. I found them to be extremely professional and efficient. I take this opportunity to thank the entire team for their services, special thanks goes out to their Advocate & Solicitor Ms. Darshini for the exceptional support she rendered at every stage of the process. I approached IRB Law for an industrial accident claim and had my claim settled in a very short period. Mr Baiross and his team of lawyers and support staff were very helpful beyond the call of their duty. Thank you for the excellent service rendered and he was absolutely amazing as I was jobless and have financial difficulty, he gave me alternative ways to get do my case with his team supporting at minimum cost….I am grateful for his kindness for the below average person like myself…. Mr Baiross & his team are very professional & patient. They will take their time to explain the situation to you & always lay out different possibilities for you to choose from, to help you understand better which choices are more feasible. My case was a rather small case but he didn’t give me any less attention and helped me a lot during my case because it was dragged for a long time because of the other party not being co-operative. When the case was finally settled, I never really had a chance to thank him properly. I am very glad that he was recommended to me by another lawyer to have him represent me for my case. We would like to thank Mr. Baiross and his team in getting back our money from the defendant in a short period of 2 months. Mr. Baiross and his team follow up our case diligently and provide progress updates promptly. Thank you Mr. Baiross, we can have good sleep now! I have started my engagement with Mr Mohamed Baiross and found him to be highly professional and personable. His rates are very reasonable amongst all the quotation provided by all the suggested lawyers on the website. The only lawyer who is willing to offer help when others are asking for fees upfront. He looked at my documents and gave me a call very quickly to explain the situation. I made a very silly and ridiculous business deal with an ex-partner and was sued more than a million SGD. Mr Baiross had been very helpful and giving down to earth advices to me. Mr Baiross could have advised me to fight the case in High Court but instead he had encouraged me to opt for mediation and made me understand the reality that I may lose even more should I decide to pursue the matter. Ultimately, I went for the mediation where Mr Baiross and his assistant as well as the two mediators made a great deal of effort that eventually resolved my case at a much lower price to be paid. I wish to thank Mr Baiross and everyone for their efforts. I’ve sent a request for assistance in my civil case and Mr. Baiross was fast and prompt enough to revert first. With detailed advices and low services fees charged, I’ve decided to engage his firm to handle the case for me. Many thanks and great assistance from Mr. Baiross and his team!!! I sent a request for a few lawyers and had the chance to have Mohamed answering first. It was a civil dispute and Mohamed reassured me of the consequences. That was very helpful as I was thousand miles away from Singapore when this happened. When back to Singapore, the consequences encountered were what Mr Mohamed predicted. Thank you again for your help, very much appreciated. I was charged under section 294(a) of the penal code chapter 224 , I sought Mr.Mohamed Baiross’s help, and he wrote a request letter to SPF to drop the charge against me and to issue a stern warning letter for the offence I did. The police officers considered and issued a warning letter to me, really he helped a lot, thank you. I just contacted two lawyers and am using I.R.B. LAW LLP, as their reply was the fastest and they answered all my questions. I recommend Mr Baiross to provide legal services. Mr Md Baiross of I.R.B Law LLP actually took the time to meet up personally with us, which we appreciated. He did not just provide lip service. He and his assistant Ms Royyani communicates extremely well with us, thus having good understanding of our needs. I have been wanting to write this review for the last 5 months. but never got down to penning it. Writing a review can get a bit tricky, because you are always caught up between the dynamics of the service rendered, the firm and the person who was at the helm of it. I too was caught up in this predicament as to which aspect to touch base first, the firm, or the people. The above quote is what I would like to draw analogy to highlight my experience, I approached IRB Law and was attended to by the founding partner Mr. Mohammed Baiross. I was at the crossroads of my life, with a failing business which was caused by the business climatic changes, heighten debts, failing marriage, and with ailing father who had just suffered a stroke. My experience with the IRB Law was positive right from the first moment, I stepped into their office. When I consulted with Mr,Baiross, he was attentive, thorough, and helpful throughout a very difficult time of my life. His entire team who attended to my matters right from his paralegal team, to his support staff and associates, was with me at every step of the way with insight and compassion, always responding quickly and effectively whenever any questions or issues were raised by me. They worked around the Bankruptcy filing, my property sale which was one of the stumbling blocks, and lastly my divorce which also panned out very smoothly. I never did expect to have a mutual consent divorce filing done, wherein my ex would agree to settle matters and work with IRB law to see through the process. The poise and skillfulness with which the matter was handled is something I would like to commend. Mr.Baiross never once made my ex feel that, she was not being represented, he patiently answered all her queries, even attending to her calls, making her too feel like a client. All the staff at IRB are amazing, it’s a no frills, yet very professional environment, you don’t get taken over by the occasion and the feel that you are in a law firm. I was reassured at every step of the journey, and my interests were well taken care of. I had the pleasure to work closely with some of the staff, but taking some individual names, would undermine the rest. A firm is not about the founders or its partners only, it’s about the entire team and the experience they bring to you, both on the legal subject matter and the Individual personal experience. I was informed at every aspect of my cases, and Mr. Baiross was there personally at all times to walk me through everything that came up. One thing I particularly like about IRB, they do not try to milk you out with charges. I remember meeting Baiross the first time, he never did look at his watch once and sat through all my questions patiently. We are all aware, law firms are quite strict about time clocked, and I said to myself then, he trying to get in a client, so first meeting is a generous one. But Mr.Baiross was generous in all his meeting with me, not just personal meetings, but always very quick to respond through his team and has made himself available during times most would consider after hours. I sincerely appreciate all of the help and professionalism shown by your firm. I have developed not only a professional relationship with IRB law, but also a personal friendship and value both greatly. All the best and God Bless all you guys. Mr. Baiross and team helped us out tremendously and very efficiently. In just 1 day we were able to sort out and solve a potential big problem (with no charge at all! ), and after starting the official process with Mr. Baiross, we were able to achieve an outcome that exceeded our initial expectations. Very patient, Mr. Baiross and team were always available over message or phone, to sort out any questions and provide timely updates. It was great working with him and will recommend for any future related business. I would first like to say that if it wasn’t for Mr Baiross I would not be able to go through the whole ordeal of fighting back against my ex employer. Apart from sound legal advice, Mr Baiross also supported me whenever I lacked confidence and offered kind words when the situation became very stressful. It has been 4 months of fighting back and we are finally seeing the finish line. I owe a peace of mind, a fresh start, and my health to Mr Baiross and his dedicated team who worked overtime to make this happen. Mr Baiross offered me professional and helpful support and advice. I will use his services in the future if in need of any legal advice. I met the lawyer Mr Baiross. He is a nice and patient man who helped me alot in all kinds of things. Even though I’m having a hard time with the fees, he helped me in many ways. With the help of a kind-hearted person like Mr Baiross, I hope everything would go smoothly. Highly recommend I.R.B Law Firm… Thanks Mr Baiross. I consulted Mr Baiross over a legal matter in which I am being called in as a witness for a court inquiry. From day one of meeting him till the end of my court attendance, Mr Baiross was exemplary in providing such a comforting session and advising me on the legal aspect of the matter. He even engaged his junior team to assist me with a mock scenario. I was very drained during the days leading to the court attendance and he was assuring me from Watsapp with comforting words despite him being away on vacation. Very impressed with such a personable and hospitable conduct of this promising lawyer. And not forgetting, he was very accommodative to my request for deferred fees payment. Thank you Mr Baiross – my heartfelt appreciation for all that you have done for me. I just met Mr Mohamed Baiross on 28 Jan 2016.. he is so friendly & accommodating that he will let you feel at ease. As my wife had some issues that were bothering her, I brought her to see him after searching for legal aid through the Internet. My wife is so happy that seeing him, he assures my wife that he will help her to resolve the matter. Thank you once again bro..he is more a friend than a lawyer. I strongly recommend him to anyone seeking legal advice. The most important is that his charges are very very reasonable. Mr. Mohamed Baiross was extremely helpful and friendly. He provided me with valuable legal services and consultation that rescued me. I now consider him my official lawyer, should I need any further legal services! Baiross provided me with affordable legal service at a stressful time when my employment had been terminated. He showed understanding for me and my situation, and had my best interests at heart. With his practical and personal advice, I was able to convince my employer to change the termination to a resignation, a very satisfying outcome. 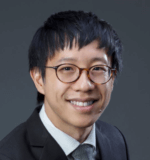 I would recommend Baiross to anyone who has a similar issue as he is familiar with the Singapore legal system (potentially confusing for foreigners such as myself), provides practical advice, is responsive to all enquiries and keeps the client’s interests in mind. Thank you Baiross! My Industrial Accident case was being handled by Mr Baiross and his team. They explained every step of the process clearly to me and settled my case for a good amount expeditiously. Further, Mr Baiross was very flexible with his legal fees. I live in the UK and needed a lawyer with knowledge of Singapore law. I contacted Mr Baiross, he was very quick in responding to me.. He gave me clear concise advice and my case was resolved within the month.. He is very efficent and affordable therefore I would definitely recommend his services he did a fantastic job and I couldn’t be happier. This website is really good should you need a lawyer. Mr Baiross, we want to say Thank you so much for representing my uncle Kim Leng, you are a good lawyer we believed, after meeting you with my mother at your your office, though i am only 15 years old, i can’t help much or do much to help my uncle, but your words have comforted and means a lot to my mother and family, i can understand and sense your sincerity and helpful to people in need, this is the type of true lawyer needed in our society..thank you Mr Baiross. Guess its fated and the instinct, we were so desperate for help and no directions, financially and physically exhausted, God must have heard our grievances, and he sent Mr Baiross to us. I could feel the peace and trust when my 1st meeting with Mr Baiross discussing on my brother’s case, he really listen patiently and giving me his good advice, he understand our financial condition and he offer us an affordable legal fees, very much appreciate for his kindness, he advice us to stay strong and calm, because I have to be the strong pillar in order to uphold my family… though the case has just started, I put all my trust and confidence in Mr Baiross and his team, Mr NorHakim too. I would strongly recommend Mr Baiross and his service dedicated to whoever in need, trust me, he is very very nice person, most important he makes us feel comfortable and ease of mind, mentally and physically for my whole family going through this very difficult challenging time, we are not alone now, I always believe in Karma and very confidence in him that he will do a good job. Something that Mr Baiross said during our meeting, it really calms and touches my heart and my family too, that is ” i bring you across the river, i sure to bring you back safely”, there are so much of appreciation to Mr Baiross that can’t put into words Thanks a lot to Singapore legal advice and most of all to Mr Baiross and Mr Norhakim. Mr. Baiross is a true professional. He patiently listens & dispenses advice clearly. Will recommend him to anyone who needs legal assistance. Thanks much, Mr. Baiross! I’m an Indonesian woman currently going through a divorce with a Singaporean. I reached out to Mr. Mohamed Baiross via email (I included my Indonesian mobile number) and not long afterwards, he called from Singapore from his mobile phone to me in Indonesia to my mobile phone. He spoke to me for a long time on the phone, giving me a clear, understandable and firm explanation of how we should proceed with my divorce case. He impressed me with his deep knowledge in this field and his genuine interest in my case. From the very beginning, he has been giving me clear advice in every step of the way. Mr. Baiross is very kind, thorough, patient and understanding of my situation. I’m always asking him a ton of questions and he responds to my messages within minutes. He is very helpful and has a comforting confidence that keeps me strong and hopeful during my emotional and painful divorce. If you’re looking for a lawyer who is looking for your best interest and willing to actually listen to your needs and worries during a difficult situation, without a doubt, he is the one for you. I am extremely grateful to him for his guidance, support and generosity in helping me get through my divorce. I highly recommend Mr. Mohamed Baiross and I am more than certain he will do an excellent job for you! Thank you so much Mr. Baiross! The legal advice received from Mr. Baiross enabled me to negotiate solution acceptable to both parties in no time. Mr Baiross gave me clear legal advice and provided excellent service. He and his supporting staff were very helpful and explained each and every step to me in my language Tamil. My case was concluded in less than 4 months time for an affordable legal fee. He has given us a very clear and helpful advise on my cases. He is such a committed person, whatever he promised on action and steps, he tried his very best to help, and even responded to my queries in the middle of the night. I am very grateful to him as he given hope to individual people like me. Mr. Baiross gave me really down-to-earth advice on handling matters even within the short time-span he had. Dealing with issues need not go into intense litigation trials unless a compromised solution really cannot be reached. He was sincere in sharing with me the pros and cons of going into court litigation. Thank you Mr Baiross! Definitely a 5 star for Nicolas and his team. His ability to think through the different possible angles of tackling an issue will leave you puzzled. 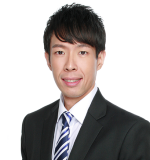 Highly recommend him and his team..
My experience with Nicolas Tang has proved that he is a trusted and reliable advisor who can provide you with responsive, result oriented and professional service. He is always my choice for a client referral. Nicolas is vastly knowledgeable and experienced with many cases. Especially when one had unintentionally brush with the law, he is able to give good advices. Do look for him if in need of any legal services. Highly recommended. Nicolas: We would like to thank you so much for everything. You have been an integral part of the final result. I am so grateful that we have been choosing you to represent the case and to speak for Aviv Fruits. I would like to emphasize the following points which have been managed to create a supper service Aviv Fruits Ltd received from Farallon Law Cooperation and I am sure that they make your firm so successful. issue clarifications and appropriate recommendations. Appreciate your endeavors to make all of this happened. Please send us the final bill. I am an attorney based in New York specializing in International Law and Commercial Law. 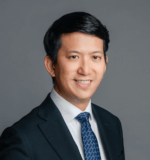 Recently, I had retained the services of Nicolas Tang of Farallon Law in a United States court action involving a party residing in Singapore. Mr. Tang and his firm flawlessly handled the proceedings. His team was extremely efficient in the action and knowledgeable in seeing the matter through to a successful outcome. Our U.S. client is forever indebted to them, as I am, for their professionalism, kindness, and, of course, result. I and my colleagues will only retain Mr. Tang’s firm should the need for local Singapore counsel arise again in the future. We found Mr Nicolas Tang online, and never regretted ever!! We definitely recommend Mr Nicolas Tang for his professionalism, approachability and immense dedication to his work and his clients. Mr Nicolas has guided us well through complicated legal principles and deliberates carefully every move’s outcome possibilities and probabilities before any is taken. He sees the big picture and strategies the path forward and involves us in the thought process throughout. Mr Nicolas also gives full consideration of our thoughts and feelings which were greatly appreciated during this onerous process. Talk to him and you too will not regret! I highly recommend Nicolas Tang. Coming from the US but needing counsel in Singapore was daunting, but Nicolas’ English was perfect. And when I say perfect, I mean better than my own. :-). This was for an emerging technology and Nicolas and his team we’re able to understand what was a very complex issue. I am extremely grateful to my Senior Legal Counsel, Nicolas Tang of Farallon Law Corporation, for his tireless dedication and professionalism. From the start, he advised me on all the possibilities and pitfalls, and with great clarity and detail. He looked out for me every step of the way and I felt secure in the knowledge that he had an amazingly effortless grasp of all the complexities of the case. He also helped me keep calm and clear-headed whenever I was flustered, angry or upset. Most importantly, he helped me see that I should seek justice with compassion, and not revenge. The past 100 days, you have seen me evolving mentally, emotionally and spiritually. Nicolas, you have opened my mind to alternative ways of solving my problems. Thank you for teaching me to live in joy, not just for myself, but for others, too. Your dedication and values in your profession inspires me. Thank you for giving your best. We were very fortunate and happy to run into Nicholas’ firm in dealing with SG legal system, not easy for an expat. He clearly knows how to make and present a case. Nicolas represented me through a criminal prosecution. At the beginning, the situation was bleak. Nicolas expertly analyzed my case, and made me aware of options I was not aware of. He helped me to understand the possible outcomes and make an informed decision about pleading or going to trial. He was also tactical and strategic, recommending alternatives when roadblocks were put in place. I would recommend him to anyone looking for detailed and intelligent representation. Throughout my case, I felt that he was going far beyond the basics, thinking of arguments and legal tools to represent me. The outcome was favorable, and I could not recommend him more. Nicolas did a great job with my case. Although I came to him very late in the process, he did good research and worked hard in defending me. His advice was sound and professional. At the end, we won the case. Our experience includes adjudication, litigation, mediation, negotiations in disputes arising from the development, design and construction projects. We represent developers, project owners, main contractors and sub-contractors. I had an unresolved issue with a developer, after taking possession of my unit, where the resolution had been under discussion for many, many months without any end in sight. Amos was able to quickly understand the issue scope, and advise me on the resolution options. After discussing the options we agreed and flexibly updated the path forward, to get to a successful outcome agreed with all parties. In choosing Yuen Law, from the others I had an initial discussion with, it was Amos understanding of the issue and options, that gave me the confidence to go with Yuen Law. The result has proved my choice correct, and I am now in the process of engaging them for other work (eg will, LPA), based on their good performance. There was one time I needed some legal advice and decided to consult a lawyer. Amos Cai was one of the first to get back to me and we arranged an appointment. Amos provided sharp, valuable and relatable advice on the issue I was facing, and enlightened me on certain queries I had – it was sort of a Law 101 for me. He also offered to answer any follow up questions I may have on the same issue after the session, seeing how the new understanding I have gained will take some time to sink in. I walked away from the session not only with the answers I needed, but also new knowledge I did not expect to gain. I highly recommend Yuen Law for their professionalism and speed of execution. Walter was kind to respond and to accomodate my late request for an appointment. We met on last Tuesday, 26th March 2019. Walter is a very good listener and understood my dilemma with the issues of my failed company and the shareholder involved who was threatening me in several ways. He gave me some sound advice and calmed me down with assurance that I need not worry and that he would be able to handle my case confidently. I would recommend Silvester Legal LLC to anyone who requires assistance in commercial legal needs. It is truly hard to find a lawyer who shows empathy and leaves you with assured confidence of a good amicable outcome. I found much comfort engaging Walter’s thoughts and advice. He presented a friendly and candid disposition with commendable patience. Those, paired with his ability to promptly pare out scenarios for my consideration, made the overall experience pleasant and effective for me. When I decided to do something about what I felt were unfair business practices by companies I was dealing with, I approached Silvester Legal LLC. Walter gave practical and precise advice. With a few letters, my problems were resolved and I was able to carry on with my life! Am fortunate to have randomly chanced on Walter’s legal services last August. Walter responded to my need of appointment at a short notice, knowing I was anxious about a demand letter on a domestic maid issue. He was not only kind in listening – Walter was quick and determined to find resolve in my case and gave me sound advice on the next steps. In that moment of uncertainty, I would never have expected to find a lawyer with such an open and good heart; Walter has allowed me the peace of mind and assurance to move along my normal daily duties to a final closure early 2019. I will definitely recommend Walter to anyone. I am an Israeli businessman and engaged Walter to assist in a rather complex business transaction with another international party. Walter was more than capable and I am grateful for the advice and guidance provided. I would recommend Silvester Legal LLC for assisting in commercial transactions, no matter how complex. Quick to respond with precise and practical advice! Walter knows his employment law inside out. His advice is legally sound and practical. I’d recommend him to anyone who needs legal advice in employment law. Walter arranged to see me the same day I contacted him. He gave calm and level headed advice during a difficult situation. He helped me understand my rights as an employee and I appreciate his help. Thank you Walter. I engaged Walter regarding an issue over product liability in a contract clause. Walter answered to my satisfaction and provided insights that I have not considered. He was accommodating and genuine when giving his perspective on my legal issues. I would certainly recommend him and his practice for those seeking legal advice. Walter was recommended when I had a commercial litigation matter in 2013. He was sharp and his expertise in litigation allowed us to collect our dues quickly. He is highly recommended for litigation. In fact, I am using him to this day for all my legal matters. So grateful that someone can give advise for free. He listened carefully and paid attention to my concern without asking anything in return. I consulted with Walter on a defamation matter. He listened to my issue patiently and provided me with a few options moving forward. I would recommend him to anyone seeking legal advice on such matters. I am very lucky to have found Mr Walter Silvester via this web regarding my harassment case. He is surprisely very approachable and friendly . His explanations n advice to us is clear and we had understand our situation better n had a peace of mind when we left his office. Really very appreciative of his very kind patience n time spent for listening n attending to us FREE OF CHARGE! Really a man of good heart n generosity. Will definitely recommend to anyone who needs a responsible lawyer who obviously do not focus on counting time n money. :-). I am grateful to Walter for providing me consultation on a defamation matter. He was clear on the way forward and I appreciate his advice. I approached Silvester Legal LLC on 7 September for a case of defamation. They were professional in gathering the facts and putting together a notice to be sent to the offending party that same day. The very next day, 8 September, the defamatory post was taken down. Extremely effective. I would strongly recommend Silvester Legal LLC. I posted a question and Walter instantaneously contacted me for a FREE consultation. He spent time to review my documents and discussed the case before giving his assessment and recommendation. Truly appreciative of his precious time and advice. He is easy to talk to unlike other lawyers who love to use legal jargon. Would highly recommend him to anyone who needs legal advice. It was my first consultation with Mr Walter for some legal advices. We consulted him for advices on company issue on directorship which have some complications linked with investment. He patiently explained to us on the potential outcome of the whole scenario and what actions we can take. We managed to understand the situation with a clearer picture and how to protect ourselves in the event if we need to be involve. His explanations are clear. Really thankful for his advices. Walter responded to my email inquiry on a Sunday and saw me on very short notice on the Tuesday regarding an urgent matter. His consultation was clear and very helpful in understanding my options moving forward. And we meet the next day. I cannot thank you enough for the free service consultation you have gaven me.And i would like to express my heartfelt gratitude to you for accumidating my worries.i will never forget what you have done,and answer all the worries i have. And thank you for taking time to listen to me. I wish you continued success to your profession GOD BLESS YOU AND YOUR FAMILY. I approached Walter with a legal issue and he gave me clear and practical advice which solved my issue very quickly! He was responsive and agreed to resolve my matter for a fixed fee. I have no hesitation in recommending Silvester Legal LLC. I work for a shipping company and we approached Silvester Legal LLC for an urgent piece of work in the late afternoon before National Day. It was done efficiently and without fuss for a very reasonable fee even though it had to be rushed. Walter was very humble and accommodating in helping me getting the job done. The company approached Silvester Legal LLC for a dispute with a GLC. Walter offered practical and timely advice. It was clear that he had the interest of the company at heart and his advice was not only precise, it was commercially in the best interest of the company. Highly recommended for commercial law. “When my expat husband wanted to divorce me, I was naturally lost. It was a horrible time. Luckily, a friend asked me to call Walter. He did his very best and managed to have the matter resolved amicably, at the same time ensuring that my son and I were awarded very reasonable maintenance. Walter acted for me in a consent divorce. He kept matters as simple and painless as possible. He took the trouble to ensure that I understood what was happening at every juncture. I would definitely recommend him to anyone seeking a good family lawyer. When I had a disagreement with my business partner, I approached Walter for advise. The matter was litigated in the High Court and even though I was not the aggressor, Walter secured a 6-figure payment to me. I was quite stunned as I was initially worried that I would be the one who would have to make payment! “My company had a complicated and potentially sensitive matter with an ex-employee which was threatening to cause serious damage to the Company’s reputation. Walter handled the matter expertly and within months, had applied successfully for summary judgment against the ex-employee. The Order we received from the High Court Judge ensured that there was no further harm to the Company. We also won costs. Walter is a very good commercial litigation lawyer. We will be using him again for any company matter. “Walter was recommended when I was contemplating divorce. Walter advised me on the various options available and also recommended counselling as there were children involved. He in fact encouraged counselling. I am happy to say that counselling helped and I remain married and happily so. He is not just a good lawyer. He also gives his perspective as a father and a friend and I value that. “The charges included a likely custodial sentence. Walter vowed to do his level best to remove any possibility of me going to jail. Over the course of the next 9 months, Walter spoke with the prosecution, wrote to them and reviewed the evidence at the investigating officer’s office. Once this was done, he wrote representations to the AGC. When the Judge expressed reservations, Walter dealt with this. Finally, it was only when I was assured that no custodial sentence would be imposed, did Walter agree to have me plead guilty to the charges. Walter is persistent and will fight for his clients. I am grateful that he never gave up trying his best for me. “When I decided to proceed with divorce, I approached Walter on a recommendation. The divorce was as painless as it could be and I am extremely grateful to Walter for that. “Walter was recommended when I decided to switch lawyers in the middle of a complicated and costly divorce. My previous lawyer was from one of the famous divorce practices in Singapore but I felt that I was not receiving the level of service my case demanded. Walter took over and had the matter concluded within months. I received the orders I applied for and have care and control of my child, which was the most important thing to me. Walter is a very good divorce lawyer and I would not hesitate to recommend him. “I have been using Walter for my commercial matters for some years now. He does an excellent work with agreements and is also well versed in disputes. “I was charged with theft under Section 379 of the Penal Code sometime earlier this year. A friend recommended Silvester Legal LLC. Walter evaluated my case and on being told that I had an antecedent charge for the same offence, told me that the benchmark was a short custodial sentence. He said that he would work to have the prosecution agree to not ask for a custodial sentence. After some exchange of correspondence, the prosecution agreed that they would not seek a custodial sentence. Even at the sentencing, the District Judge said that under such circumstances, the prosecution would normally seek a custodial sentence. Thankfully, she agreed with the prosecution’s recommendation on sentence and instead of sending me to jail, imposed a fine. Barely 2 months after seeing Walter for the first time, I walked out of the courtroom, a free man. I am extremely grateful to Walter for what he has done for me. Somehow, he managed to get the prosecution to agree to not seek a custodial sentence. I would recommend him to anyone seeking a good criminal defence lawyer. I find Mr Wahab very accommodating to whatever questions i may have, and he listens with a compassionate heart. He makes me feel comfortable and is always helpful with any doubts i feel initially proceeding with my case. Thank you Sir, for your professionalism and friendly attics. At times, i feel like talking to a friend instead of my lawyer. I would describe Mr Wahab as an intelligent lawyer with a competitive spirit. Mr Wahab was a wonderful representative of calm preparedness during my divorce case. I so appreciated his knowledge, his calming presence, his polite and respectful attitude in the courtroom, and outside of it. He helped me to stay focused on the larger picture, and he worked on my case in a caring and timely manner. I would highly recommend his advocacy to anyone who needs legal advise and guidance. Thank you Prestige Legal LLP for the sweet victory. Thank you Mr.Wahab for helping me to solve my marriage issue. I’m thankful to have a lawyer like you. You been very professional in handling my issue…Thanks again Mr.Wahab. Mr Wahab is a courteous man who has provided excellent services and knowledge in his own field. Not only did he show concern for my welfare but also showed understanding through my difficult situations. It was easy to communicate freely with Mr Wahab as well as he was able to explain all the conditions that was necessary. It was a pleasant experience to have hired Mr Wahab as my lawyer. Mr Wahab has been really resourceful with his advice and solutions to matter at hand. He also quick to answer any questions that arises with the situation. He is also really accomodating to situation and really care for his client base on all the advices as a professional he has given so far. The team backing Mr Wahab with the support when he is not available. Leela has been quick to answer questions on any admin matter she is handling and really quick to respond to any question I had in handling any of my administrative issues. Shu Yi has also been really helpful with any questions I had to the best of her knowledge and quick to solve any issues that needed my attention. Mr Wahab is very patient with me despite me having alot of questions. He also do constant follow up with my case. He also gave me advice based on his experience professionally. Lastly, he would go extra miles to help his client. I’m glad that I’ve engaged with Prestige and met Mr Wahab. Mr Wahab has always been helpful and patience in attending to my case. He has always help to support in explaining to me each and every details until I understand about it. He always able to promptly reply to me when I have a question to him. Even when I am oversea, he is able to guide me on some of the process to take. Mr Wahab is friendly and very helpful. He handled my divorce very smoothly and quickly despite a very short time frame given to him. He’s an efficient, knowledgeable and experienced lawyer. He’s also very encouraging, especially during my difficult situation. Thank you Mr Wahab and team for resolving my divorce case in a amicably and professional way. The case have finally to the end and would like to thank Mr Wahab for the advice and support during my toughest time. Thank you for always keeping me updating me on the case. I am happy and pleased with the service. Feeling happy with the job given. Mr Wahab showcased professionalism in his work. He understood my case well and gave good advice after hearing me out fully. Good listener and and was well aligned with family law. Charges were affordable and yes, your case is safe in his hands. Mr. Wahab was a disciplined and helpful man who helped me solve my household problems recently. Although my case trip was very complicated and took a long time but mr. wahab and colleagues still help me to resolve my divorce case to this day. I was reffered to Mr Wahab by friend of mine. I am very much impressed with Wahab’s skills and knowledge regarding his handling my divorce. He is attentive, professional, and has a way of making a person feel completely at ease in his office when discussing sensitive issues. He immediately responds to my emails and is attentive to my concerns. He does provide constant feedback after every case conference. His fee is reasonable compare to may other law firm. I would highly recommend Wahab to anyone. 1. Wahab was my NTU classmate. 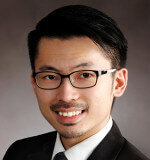 I met him at a NTU Alumni last year and got to know that he was working as a lawyer. 2. I like the fact that he is very helpful, approachable and knowledgeable. He was able to give me much needed advice. Mr Wahab has been really professional in his work, he spent time to understand my case and had given good advice at each stage of the proceeding. He has an open mind, he will listen and digest client’s suggestions and aligned it with legal technicality. He had given pragmatic advise to my case and work out different senerios with me. His team is also supporting him well and able to react quickly when needed. We engaged Mr. Wahab’s service when our landlord refused to return our deposit without a fair ground. He saw us the next day after we made contact and was very efficient in advising us the course of action. We were able to get the deposit back within a week from engaging his service. All in all, he’s a warm and friendly chap that delivers result. We would be recommending his service to our friends. Mr wahab has been keeping me updated on the status of my case pending against me by the courts. He explains the process and the next due of course and give advice on what my decision should be without any pressure. I feel that my sentence was shorten because of his representations. Mr Wahab has provided legal advice and guidance during a difficult situation. I found him to be experienced, responsive, knowledgable and honest. While working with Mr Wahab, I felt as though my situation was in adept and trustworthy hands, and he did not steer me wrong. He kept me updated with all the latest details without even me making the first move. I would like to thank Mr Wahab for his professionalism in handling my case. Mr Wahab has given prompt responses and took his time to explain to us on the legal procedure and processess and we had a wonderful experience without going through any additional stress. Your assistance is greatly appreciated. I was facing a default judgement order for my credit card debts. Mr Wahab timely advice and letters to the bank bought me sufficient time to raise funds to meet the bank’s repayment schedule and helped me to avoid adverse situation. I would like to express my heartfelt gratitude to Mr Wahab and his team for working tirelessly to ensure that the law worked in our favor. If it weren’t for your analytical skills and knowledge, the matter wouldn’t have been settled by now. Thank you for your legal advice, time and efforts. I have been given reference of Mr.Wahab through a friend who was his client sometime back. I have approached Wahab without knowing what options I have or what I wanted to do. He patiently listened to my current status and laid down options with clear approach to each of them. By the time, I was out of his office, I was clear what needed to be done. His assistant and legal secretary were constantly in touch with me on the case and the case was closed with final judgement within a very short duration. He was even available after my close was closed to give me advise legally on other things which are beyond my case in Singapore. Mr. Wahab is a thorough professional who is extremely good at his work. I would very highly recommend him to anyone requiring legal assistance in Singapore. Mr Wahab is a good lawyer and he help poor people a lot. And he is very responsible. Mr Wahab handled my case professionally and has been efficient in dealing with my case. High EQ and performed beyond expectations of a lawyer. His insights and information surpassed any other lawyer I’ve met. I am very satisfied with the service he provided. He gave me confidence while dealing with my case and I knew I can trust him; Someone who can provide a listening ear too. Overall I am very happy and felt so blessed to have engaged Mr. Wahab. Will always be grateful towards him. Wahab is nice , courtesy , polite , patience. Concern , responsible , care and professional good lawyer . since I know him in last previous law firm . I got any doubt in my matter . Him will reply me back and give me advise .Him will tell me relax and don’t worry about it. Just want to appreciate to Mr wahab he have been helping through all the difficulties which I facing during divorced me & my ex husband. He have efficient to provide me all the solution and resolved the problem instead of keeping dragging. In the end, I feel able to appoint Mr wahab as my lawyer. Thanks you so much. Mr wahab has provided an excellent services and put excellent knowledge for Sabiyathul divorce matters. On full display Mr Wahab a real professional and made all legal matters smooth. Mr Wahab is a kind, nice and accommodating person, always very fast in replying and responding to my queries. very approachable too. I have recommended a few of my friends and family members to consult him on legal matters. Recommended by a close friend, I came to Wahab for help, honestly at that time I was not expecting much of a positive outcome. Instead Wahab was kind, patience and with his encouragement, I pursue on. Even after he left his previous company, I insisted that he continue to further worked on my case. Today I am very glad that I was finally compensated. Not only was Wahab able to take control of the situation during the meeting with my ex-firm, he managed to convince them to agree to all the terms laid down by him. Thank you Wahab ! I would not hesitate to refer Wahab or endorse his services to anyone should they require any legal assistance. All the best Wahab ! I know Mr Wahab through my legal aid his service is superb he is friendly n good listener finally my case had ended and I appreciate his afford while handling my case together with his secretary Ms Leela. I really wanna said thank you very much for his services handling my housing matter and my children’s custody issues. Have a nice day Mr Wahab.. I felt frustrated when 2 acquaintances borrowed money from me on their time of need but did not intend to pay back at all. Their lifestyles shows they have the means but only that they don’t have the courtesy or respect to the person who helped them. It was a councidence that I found Mr. Abdul Wahab. I almost gave up on those people who had betrayed my trust. He helped me recover my money from them and made me feel that I actually have the power against these people who thought that I am already at their own mercy. So thank you Mr. Abdul Wahab and Michelle. Wahab was an awesome lawyer in my case and was totally clear and professional about handling the matter diplomatically to avoid any unnecessary issues. His service was beyond expectation apart from his friendly way of motivating me to be calm and handle situations carefully. I am very thankful for his service and will happily recommend him for others seeking legal advise. Thank you. I want to thank Mr Wahab for everything that he has done for me in my divorce matter and I am happy that I got the custody of my child. We have engaged Mr Abdul Wahab l.R.B.LAW LLP for our Son’s visa matters. Mr Abdul Wahab I.R.B. LAW LLP did explain to us the terms and conditions for the above matter with regards to ICA. He was also professional and pleasant in attending to us. Although the matter is still in progress with ICA, we would like to thank Mr Abdul Wahab I.R.B. LAW LLP and his staff for all the help and guidance rendered. We hope Mr Abdul Wahab I.R.B LAW LLP and staff will still be assisting us in securing a Long Term Visa for our Son. I was at desperate times seeking for a good lawyer, one who could fully understand what I really need in this legal assistance to my case. I had seek various advise until I have met Abdul Wahab who is a committed and professional lawyer with human touch. The consultancy was direct to the point, he could understand what did I really needed, he listens and offered professional advise instead of just working to instructions. He understands the anxiety of his client, replies to my multiple doubts and follows-up on case progression personally, which made me felt relief engaging him as my representing lawyer. The case is now closed with the best desired outcome. Thank You. I engaged Jeremy to assist in recovering my deposit from a contractor who did a very bad job for my house renovation. Although it was not a lot of money Jeremy and his team were very professional and worked very carefully on my court case. Fortunately I was able to get back my money, and thanks to Jeremy and his team. We are a Singapore construction company who had some dispute with some of our subcontractors. We were happy that Jeremy is extremely familiar with the construction industry and was able to understand all the technical issues easily. This made it very easy for us to explain our problems. Jeremy proposed useful solutions to resolve the matter quickly and preserve the existing business relationship with our subcontractors. The fees were also extremely reasonable. We are very satisfied with IRB’s service. Jeremy was recommended to me by a business associate. I needed help with my dad’s estate as he passed on without a will. Jeremy was able to offer valuable advice and was prompt in answering my family’s queries. He and his team were able to process my dad’s letter of administration within 5 weeks! Thanks once again to Jeremy and his team for their professional and efficient services! 8 Eu Tong Sen Street #13-83, Clarke Quay Central, Singapore 059818, (Office 2, lift lobby beside SUBWAY). I have sought advice from Ronald Wong of Covenant Chambers twice, for company incorporation and alumni society constitution purposes. My personal experience tells me that he is a very professional lawyer with a big heart. Thanks Ronald, I wish you every success in your practice. Ronald has been a great help providing his legal advice to us for our specific situation. His services are prompt and professional. We highly recommend his legal services for your corporate needs. Ronald was highly effective in providing us with good quality legal service. He was always prompt in his response, and consistently provided comprehensive answers to our queries. Ronald can be trusted on to see through the task from start to end. I engage Ronald from Covenant Chamber LLC though out the legal concerns of my company’s activities. I was first impressed with his prompt response after I’d submitted my first enquiry. With his high standard, professionalism and the ability to advise me as layman in legal aspect understandably. I would recommend others to consult the legal topic with Ronald. 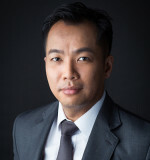 Mr Ronald Wong provided excellent pro-bono services and advice. He helped to weigh out various options for my case and suggested which was the best course of action to proceed with. His services were prompt, professional and reliable. He understood my needs yet also considered practically how far he could negotiate with the other party without escalating the case. Overall, I had a very good experience engaging Mr Wong’s services. I will definitely consider engaging his services again should I require legal services in the future. Although Ronald did not give the lowest quote, I chose him because he was sincere and professional. I felt comfortable entrusting my case to him. He gave practical advise and respond promptly to my doubts and queries. He handled my case effectively to minimise my cost and advised me on the wisest course of action. He was humble and understood my needs and difficulties. He is a gem of a lawyer. Very prompt and detailed in explanation and the advises given were very practical. Very upright advocate. Very good communicator. Earnest practitioner who seemed to gain the respect of the mediator. Calm in the face of an oft-times over emotional client! Ronald is very professional and helpful throughout the case. From my brief experience with Mr Ronald Wong with regards to the legal advice sought on business contracts, he is very prompt with his response and/or advice. In short, he ‘underpromise’ and ‘overdeliver’ at the end of the whole transaction. I would highly recommend Ronald of Covenant Chambers for legal advice/services. Ronald worked with us to build and launch two projects: (1) a company-wide raft of operational policies and procedures and (2) a risk management system. All based upon government contracts and KPIs. Ronald managed the building and development phases using his strong project management abilities, contract and compliance knowhow, extensive involvement with teams on the ground and he conducted more than 30 workshops. The workload was much heavier than originally expected but Ronald was entirely nonplussed and delivered both projects to a very high standard. I know that everyone who interacted with Ronald appreciated his calmness and politeness, skill and systemic thinking towards the projects. Thank you Ronald! 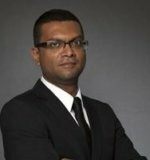 Ronald is a “new-age” generation legal advisor who’s constantly aware of client’s needs and offers practical advice and solutions. There’s a unique personal touch from him to ensure that the legal terms are easy to digest and understand by a layman. Ronald understood my requirements and was prompt in responding to the brief and his advice was very sound. Ronald is a trustworthy lawyer who provides good counsel for the issues we brought to him. He often went out of the way to uncover issues that may pop up much further down the line and to give guidance on the things to do now to prevent future incidents. We have a great opinion of him as counsel and have a great deal of faith in his expertise. Ronald often responded within the hour and was available when we required his counsel. Ronald often provided advice that was not in our direct scope but also tangentially associated with our requirements down the line. Professional … except he didn’t wear the wig as they do in some tv dramas. Reliable and dependable to provide good advice. Affordable … he charges less than his worth. Ronald is able to provide helpful, timely and professional legal advice thru layman format. He will share all the necessary and important information regarding the scenario, implication and consequence of a legal matter. He is attentive and able to provide constructive feedback and concerns with great deal of patience. I would especially like to commend Ronald on his professionalism and superlative skills ! I would also like to recommend Ronald to anyone who needs a good lawyer! 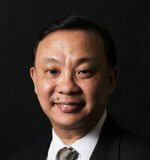 Ronald Wong is approachable and trustworthy, a lawyer I would happily recommend to friends and relatives. I was extremely satisfied by the speed at which I got the requested service and documents. We are very grateful for your succinct, robust and eloquent response. Based on our years of experience with legal attorneys in Singapore and beyond, we would also like to use this opportunity to commend you on your efforts to date, with which we are very pleased. Very well done and highly appreciate your efforts. Absolutely [prompt]… You give me sufficient advice. You clearly guide me on dealing with the opposite side. You are patient… We have good communication… You are also patient for further explanation when I was having something not sure. Your services are excellent. Mr Wong carefully listened to the specifics of my case before giving his opinion and counsel, which was very helpful, offering not only understanding but empathy. Excellent. You have my account for the foreseeable future. Your services are great, you are patient with your explanations, and you tailor the language use (simple/complex) in your emails and contracts to the clients/reader, you work within a highly affordable budget, and you are transparent and sincere in your services. And now you’re willing to take feedback to further improve your services. Great experience throughout. I worked with Ronald Wong when I was the Comms executive/Case worker with HealthServe. Even before Ronald graduated from law school and started his practice, he was already a committed and dedicated volunteer, initiating a fund raising event for the medical NGO and also contributing articles to raise awareness on migrant worker issues. After Ronald was called to the Bar, he volunteered as a pro bono lawyer and represented a few foreign workers I was assisting at HealthServe. As a new lawyer who had to often handle a heavy workload, he still showed the same commitment and passion in his pro bono work, always conscientious in keeping his clients and the case workers updated. He has represented foreign workers facing criminal and employment violation charges, and was exceptional when it came to following each case from start to finish. What I appreciate most about working with Ronald is his dedication, patience and compassion towards disenfranchised foreign workers. I had the privilege of working with Ronald while setting up my first company. Ronald was involved in many aspects of the start-up, including negotiations with business partners from both Europe and Asia. I was very satisfied with his drafting of contracts with fairly complex requirements. From day one of our interactions, a few things stood out that made my experience very different from my earlier legal endeavours: Ronald’s competence is one of the best I’ve come across in the field. He was very, very fast in turning around on several items in our work. Communication and responsiveness were beyond my expectations – the best I’ve seen so far. Regardless of where I was and the time zones I was in, Ronald was always just a call away, affording my team and I valuable advice. The complexity of our work required a fair bit of research and expertise and Ronald was able to manoeuvre us through it with a great deal of care and clarity while taking a lot of time out to ensure we (the client) were aware of the process and on the same page. With his advice, we were able to conclude significantly better terms of trade. Above all, Ronald is one of the nicest human beings I’ve met – one who goes beyond requirements both professionally and privately, which makes it very pleasant to do business and work with him. I would wholeheartedly recommend working with Ronald to my friends and colleagues. There may be may legal professionals who know the law, but very few appreciate its nuances. I have known Ronald Wong to be one of those few. Having known Ronald first as a classmate in Law School and then as fellow practitioners, I have come to observe how effortlessly he navigates legal concepts and legal issues, with a strong appreciation of each person’s specific circumstances. Put together, these skills enable him to provide the best possible legal solution for whatever is brought to his attention. That aside, Ronald is also a man of deep compassion, and his dedication towards the man on the street is equal to the man who may be held in higher esteem. I have no doubt that in leaving your legal (or other) concerns with him, these matters will be handled with the utmost of skill and heart, and you can trust him to be your counsel and fervent advocate both in the courtroom and out. I approached Yuen Law after seeing their services explained on their website. From the Initial point of contact to arranging a first consultation was indeed a smooth process. The experience and counsel received from Mr Lim Fung Peen for employment contractual issues was delivered in a calm manner which helped me de-stress. I found that the advice was concise explained in a simple format and their follow up to see the outcome of the issue was a good touch to see their caring and support position through this process. I would thoroughly recommend using Yuen Law for your employment contract issues you may have. They have a pleasant manner and communicate the relevant facts and options in simple language. They suggest how to proceed with the minimum cost option for the client for the best possible outcome. They are professional yet approachable, with the client always at the forefront. Glad that I came to consult Yuen Law after a very disappointing first (and last) consultation with another law firm. Also glad that partners are believers and shared these values at Yuen Law’s website. Service provided is professional, objective, diplomatic and sensitive to the family dynamics in the case. 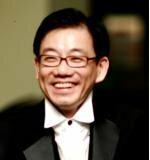 Mr Lim Fung Peen is professional yet very personable and puts his clients at ease. The service is good and professional and the fee charged is reasonable not exorbitant. Yuen Law have provided fast, effective and informed Notarial Services, with their attention to detail and customer service contributing to the delivery of the final outcome. Yuen Law is willing to learn the nuts and bolts of IT terms in the journey of lawsuit and preparation of legal letters in response to the counter party during the process. Yuen Law is professional and provide realistic legal advice on what’s my win probabilities in uncovering AppeDine’s IP during the lawsuit with my previous developers. Fung Peen is a seasoned lawyer and veteran. He stood out in his star legal advisory as well as delicate attention to solve the IP matters for AppeDine. Making wills and applying for LPA was a breeze with the help of Mr Lim and his team. Thank you for the step by step clear explanation and advice provided to my parents and myself. Recommendable to all who is looking for a team of professional and approachable attorneys! Most people say that justice is blind, and that the law is merciless. This is not the case when you step into Yuen Law and have a chat with Fung Peen. Everyone’s story is treated with the respect and attention you deserve, and no matter how terrible your grievance may be, you can be assured of a sympathetic ear, and an earnest heart. Rarely do you get lawyers who truly care more for you than their billings, or how they can get you to pay more rather than save, but these are the tenets on which Yuen Law is built on. I have known & interacted with the people working at Yuen Law for over 2 years. I have personally benefitted from the valuable advice given and grateful for their willingness to lend a helping hand even beyond what is needed. In a nutshell – The People’s Law Firm. For me besides being professional in your advice at the same time Godly counsel is the most important to me. Well thought through when seeking what to consider in drafting up the will – like having to consider if any of the beneficiary were to pass on earlier then the will maker, and explaining in mandarin to my dad to make sure he understand his will contain – an excellent service that I would recommend. I was looking for a reliable and professional law firm to deal with a complex legal issue, Yuen Law fitted this bill perfectly. From the initial contact, Mr Lim Fung Peen approached my requests in a positive manner ensuring me that they could deal with all the legal issues from start to finish. Mr Lim Fung Peen clearly explained what needed to be done as the matter progressed, and set a realistic timeline for completion of all the requirements. What also impressed me was the reasonable fixed fee they offered me with no hidden extras. Dealing with the staff at Yuen Law was a pleasant experience, they were always courteous and compassionate yet professional ,going above and beyond what was required to ensure all my questions were answered in a positive and timely manner. I would not hesitate in recommending Yuen Law for any legal issues as my experience was exceptional. Yuen Law assisted us with the early settlement of our bank loan/ mortgage. They also helped me with a deed poll. The folks I interacted with were prompt and always followed up with me to keep me posted on the progress. They were very clear with me on the requirements and what I needed to do when. My experience with Yuen Law has been a pleasurable one. The staff follows up regularly and ensures the client knows what needs to completed when. I have used Yuen Law for my LPAs (including extended family) and Wills with Fung Peen. Recently, I have seen him for some legal advice on employment matters, not only did he provide sound legal advice but his shared wise counsel, in my view, is priceless. Yuen Law represents what the family court seeks to achieve – a collaborative approach to addressing family matters. Fung Peen is encouraging and rebuking in the most gentle, yet powerful way. Ben and I received much wise counsel from Fung Peen and benefitted from his 21 years of legal experience. I found the restored picture of my family that I lost years ago. I would like to thank Fung Peen once again for all he’s done for my family. I really like Yuen Law LLC service because they understand my exact needs and provides solutions that are in my best interest. Yuen Law LLC’s lawyers are knowledgeable & experienced. Fast, customized, trustworthy and very professional service, once again thank you very much for your support and service, definitely will recommend you to others. In dealing with a personal matter, Fung Peen provided me and my family with sound advice in addition to suggesting a methodical and concise approach that helped us resolve the issue quickly and efficiently. Fung Peen’s personal touch and close handling of a complex issue went a long way towards us achieving a favourable outcome. With my positive experience of working with Yuen Law LLC for company matters prior to this case, I had full confidence in the firm and its people in helping me achieve a quick resolution of the issue in question. The firm values people and relationships and hence I would have no hesitation in recommending their services for all legal matters. Thank you to you and your team for bringing us here. Your advice at every step of the way including the first email sent to get the ball rolling, has been invaluable and so on point. I don’t think we would have reached this stage without you. I am currently traveling with my parents and on their behalf, I must extend their gratitude. This matter has been a source of tension, worry and stress for them for more than a year. After the paperwork was finally signed it was like a weight was lifted off their shoulders. A big Thank You from them! I won’t dismiss the possibilities of further complications. However I hope the rest of the process will be completed smoothly and we can look forward to leaving this matter behind in 2019. I am thankful that Fung Peen took the time to listen to my situation. I called at a random time and he went straight into providing me initial advice, he shared with me from his experience and helped me dissected how I should look at my matter. This helped me understand, that If I went ahead with a proposed deal, I would be left in a vulnerable position. With his advice, I decide to renegotiate for a fair deal. I felt fortunate and grateful that Fung Peen highlighted business issues that I as a creative person did not consider. I would recommend Fung Peen to those who needs legal advice, as I believe he acts in the best interests of client because he cares, and it is not merely a business transaction for him. I have known Fung Peen and Samuel since I was a teenager. Fung Peen has always been a mentor and a dependable and faithful friend. He is someone whom I have shared many joyous occasions and tough times. When my mother was considering writing her will, and getting my grandmother’s LPA done, Fung Peen was the first person who came to mind. It was definitely the right decision to go to him. The team at Yuen Law was instrumental in the process. I would like to commend the team, who helped translate terms into Cantonese for my grandmother to understand, ensuring that she felt at ease when faced with many documents to sign. Fung Peen was able to explain in the most practical of ways, the short and longer term considerations to help us arrive at our decision. He took the time to explain, to us – laymen, not only the ‘letter of the law’ but the ‘spirit of the law’. I highly recommend Fung Peen and the team at Yuen Law, simply because they embody the core values of integrity, professionalism, and they have demonstrated an outstanding level of care for their clients. Doing a will is actually easy with the help of a lawyer. I have been putting it off, thinking that it was difficult and cumbersome to execute. I attended a talk conducted by Yuen Law on Estate Planning. Mr Lim Fung Peen encouraged the audience to make the process of distribution easier for their love ones by taking a simple step to get the will done as soon possible. Mr Lim’s follow up was excellent. I submitted my details to Yuen Law and the next moment, I was at Yuen Law’s office signing my Will. Mr Lim made the effort to explain the key points of the Will. To my surprise executing a will was so simple, and not complicated as I had thought. We work hard to ensure that our love ones are provided for in raining days, it would be prudent to make the distribution process simpler for them. I encouraged you to spare this little time to get your Will done with Yuen Law. Fung Peen provided good insights and practical advice on the selection of our donees for our LPAs, as well as the selection of guardians and trustee of our estate. On the day of signing of our wills, the team ran through a couple of scenarios, so that we could really think through what we want to happen under each scenarios. Our wills were correspondingly better worded to address those scenarios. Fung Peen and his team were patient to answer all my queries and concerns pertaining to our LPAs and wills. I felt comfortable and was able to trust the sound and logical advice given by the lawyers. I was also pleased with the meticulous administrative service provided by the support staff, who repeatedly checked and ensured the smooth documentation of the LPAs and wills. I had a very positive experience with Yuen Law. My divorced was finalized a few years ago, I am grateful that Fung Peen “held my hand” and provided expert guidance and advice throughout that very difficult experience. Fung Peen always kept me informed and took pains to make sure that I fully understood the legal process, my options and the consequences of each option I took. Talking to Fung Peen was like talking to a friend. I was impressed at how Fung Peen was always so well prepared and meticulous in terms of presenting the information/facts needed to support my case. We were always keen to have a will written, but due to a lack of knowledge and fears of a hassle, we have been putting it off. So when Fung Peen approached us to write a will, his professionalism, and caring attitude helped allay our fears. We were unsure of what to state in a will, especially when it came to the appointment of the guardians for our children. Fung Peen was very patient and understood our worries and recommended us an appropriate will suitable for couples with young children. Fung Peen helped us realise the importance of handling finance matters. Fung Peen is sincere, non-judgmental and understands our concerns completely. His approach is gentle and caring, always providing a clear and sincere perspective. No doubt far away from my Singapore , my enquiries were replied promptly ! He clarified my doubts efficiently ! When I need a Lawyer , I will definitely appoint Mr. David Nayar as my Lawyer !! I will recommend to my friends & relatives too ! Great , thanks very much ! Greetings from Germany ! 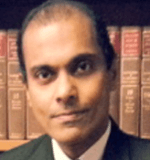 David Nayar represented me in a divorce case. The service was excellent and he provided constant and timely updates where available. Truly satisfied with the excellent service and would highly recommend him to anyone requiring legal services. Lucky we made our letter of administration with Mr David Nayar. The service was great. Modest fee and great service. I would certainly recommend him to others. David Nayar is currently helping me with my case, and he is very helpful. I would highly recommend him. Thanks for the wonderful service found in the website. I’m able to look and engage solicitor David Nayar to assist in my case. The service rendered was impeccable and really worth recommending to others. I’ve encountered a few bad experience on previous recommendation by friends.I was glad and impressed by the service found in the website. I went to see Mr Nayal and he was very helpful for the time that I consulted him. The case has been resolved. He was extremely helpful and friendly. I now consider him my official lawyer, should I need any further legal services! I’m still working on the case, and I think that he gave me really good advice. I have known Nadia for about 3 years. She has represented me in the most professional manner, her ethics are of the highest standards. Her friendship, courtesy, knowledge and honesty have become very important to me during the time she represented me in a civil litigation. I will continue to use Nadia in any and all my legal needs. Nadia had provided legal advice and guidance during a difficult situation. I found her to be experienced, responsive and possesses a sharp legal mind. I was represented better than I could have ever imagined. My needs were put first and was treated as a friend rather than a client. My opinions were valued and my doubts were always reassured. Nadia fought hard for me. She went above and beyond and did everything she could to ensure a great outcome. I am grateful that I have met her. Thank you Nadia once again. Around September 2018, I was having a dispute with my main tenants as she had breach the tenancy contract. The situation become very stressful and depress for me as I have no idea on how to deal with this kind of situation. So, through online research, I found this website thinking that maybe this could help to come out with some sort of idea or provide some guidance on dealing with things relating to main tenant breaching the tenancy agreement. I choose Nadia without thinking much and I am glad I made that decision. She shows me that I have the right to demand compensation as the contract indicate and provide insight and ways to deal with the issues when I am having difficulties dealing with unreasonable main tenants who twist the meaning of the contract denying any wrongdoing. I can’t thank her enough as she help me fight back the humiliation and the stress the main tenant had created. For this, I had refer her to my housemates who also having similar problems. Thank you truly for helping me Nadia. Nadia was fantastic. I needed a lawyer who was going to be to the point and support me on what I needed taking the most pragmatic approach – she did just that and provided the perfect solution. I’ve recommended Nadia to others who have found her services just as excellent. I recently required the services of a lawyer in Singapore and was directed to Nadia by two separate parties. From the moment I met Nadia, I felt that I had made the right choice in seeking her out. She calmly listened as I laid out the details of the case, asked relevant questions and was compassionate in her reaction. She explained the harsh realities of what lay in store for me in a way that was gentle and sympathetic whilst also making sure that I was well informed and prepared for what lay ahead. Over the next few weeks and months, Nadia was extremely attentive towards my case, checking every detail with me and letting me know of any update. I felt very comfortable knowing that I was in good hands legally. As well as being an upstanding professional, Nadia offered invaluable emotional support and was always available to talk to me. Knowing that I was unfamiliar in Singapore and did not know anyone, she took it upon herself to get to know me personally and invited me to join herself and her husband on various social occasions. This made me feel a lot better about my entire situation and went above and beyond what I would have expected from my lawyer. Throughout the case, Nadia kept me in the loop with every development, no matter how small or seemingly insignificant. She made sure I was aware of my options at every juncture and strove to carry out any request that I made. I would highly recommend Nadia as a lawyer; she is extremely diligent, competent and maintains a very high standard of professionalism at all times. On top of this, she is a wonderful person who was a shining light during a very tough time in my life. Despite the circumstances, I am glad to have met her and I am now lucky and proud to call her a friend. I recently used Nadia and Kalco Law’s services to represent me in divorce proceedings. From the very first meeting Nadia displayed both a high level of professionalism and compassion during what is a very stressful and emotional time. Her experience enabled me to achieve a fair and straightforward outcome to all the issues that arise during such a matter. I would have absolutely hesitation whatsoever in recommending her and her firm’s services to anybody who may need them. Nadia is a great lawyer who is willing to lend a ear when you need it. I have worked with her on a number of legal issues over the last five years. Her services were highly professional and responsive. She kept me informed throughout the process. I would highly recommend her to my friends and family. When I was faced with the need to find a lawyer, I found it very difficult to make a choice among the countless lawyer ads you can find online. I chose Nadia because of the reviews I read on this very website and It was a choice I never got to regret. As said in the previous reviews, Nadia is warm, personable and she has excellent listening skills. I particularly appreciated her efficiency and the swiftness with which she put my case together. She was always proactive in getting back to me before I needed to and she was always available to meet me or call me at the shortest notice. She gave me excellent advice throughout my court case and she was good at showing me and my husband the reasonable path when our anger and our need for justice made us stubborn and not always realistic. If you are a woman and a victim of sexual harassment, you will probably feel the need to talk to a lawyer who will show you kindness and understanding. I recommend Nadia for her sensitive and non judgemental approach. I would recommend Nadia for anyone who experiences employment/contract disputes. I spent more than 2 years fighting for unpaid monies from my previous employer in Singapore. As a foreigner I found little in the way of assistance from the authorities or regulated bodies with regards to protecting the rights of a foreign employee earning more than $4,500 per month. It was only when I found myself chasing the employer that I found little in terms of law to either help or assist. After meeting with many lawyers, I felt that Nadia listened, showed compassion and acted in a manner befitting of a person with integrity. She showed through her service, that ‘I’ the client deserved a fair outcome and she went out of her way to metaphorically walk by my side. I have and will refer her again, and again to others who require the legal services of a person puts the client before money. The Singapore system is extremely difficult to navigate as a foreigner chasing an errant employer and this is compounded by visa restrictions and the wide range of fees from various legal entities. Having clear, transparent fees and a highly communicative lawyer goes a long way to providing peace of mind. Nadia Moynihan assisted me during a challenging period of my life here in Singapore, and I could not have received better legal support. Her knowledge of the judicial system is outstanding. Each step in the process was professional, deliberate and executed with great attention to detail. Nadia regularly updated me on the case and never left me in the dark. To Nadia, her clients matter and she is able to find the perfect balance of listening and advising. She has a unique way of showing compassion towards people which is few and far between in the legal system. A perfectly balanced lawyer; I could not recommend her any higher. Mrs. Moynihan is one of the finest attorneys and persons you will ever meet. Her approach to law is both extremely thorough and meticulous, while at the same time, her personality is warm, kind, and generous. I had the great misfortune of being unduly caught in the Singaporean criminal justice system and yet the silver lining of that misfortune was the truly great fortune that Nadia took my case. Through several years of set backs and endless frustrations, she did more than just represent me to the best of her abilities, she raised my spirits with countless gestures of kindness and friendship. For many people, needing the services of a lawyer often means an uncertain and dark time in their lives. Nadia Moynihan is a wonderful lawyer and a great friend to have in those times of darkness and uncertainty. The ways she went above and beyond what could be expected of any lawyer, to look after me, are too numerous to list here. Thank you Nadia, from the bottom of my heart. Is é mo theach do theach. I have used Nadia’s services for divorce / maintenance matters. I have consulted several lawyers before that and among others I found that Nadia had a sincere desire to help without overcharging for it. I find it a rare quality in lawyers. Nadia provides her clients online support as well and she had a personalized approach to my case. I am grateful for her assistance, thus can recommend her to others with confidence. As a client who has had the pleasure of working with Ms Nadia, we are extremely pleased with her professional work. Ms Nadia possesses a sharp legal mind and pays extensive attention to the details of the case matter. She exhibits maturity and experience beyond her years. Her warm personality coupled with her diligent and sincere attitude made working with Ms Nadia a pleasant experience. We believe that Ms Nadia conducts herself in an exemplary manner and is definitely an asset to the legal profession in Singapore. We would have no hesitation to recommend her to any future clients who expect a smart professional legal service. I have referred a number of Singapore law matters to Nadia on behalf of clients through the years. All have praised her advice, her fastidious approach to her work and commercial approach to resolving disputes and can recommend Nadia without any reservation. From the moment I spoke to Nadia Moynihan I felt reassured. Her professionalism, empathy and sharp intellect impressed me. She has a wealth of knowledge on the subject of employment law in Singapore and she utilizes many outstanding, unique and very creative strategies. I will remain forever grateful to you Nadia for helping me to resolve a difficult employment situation. We have engaged Nadia to act on our behalf while resident in Singapore. Nadia has a superb understanding of Singaporean law and a great knowledge of all its intricacies. She consistently provided us expert counsel and has a great ability to explain complex legal procedures into meaningful language and understandable terms. We have total faith in Nadia and are delighted to have this opportunity to recommend her. I would like to thank Nadia for the fact that the custody of my biological son, which when at birth was immediately separated, has been rekindled. Your work done as a lawyer to reestablish the relationship with my child is priceless and I appreciate it very much. I would like to thank you from the bottom of my heart for all the assistance you have extended me unconditionally.